Recording past activity . . . Helping you set future direction from statutory obligations. A professionally conducted statutory audit is a means of maintaining the credibility of an organisation as well as being for some, a legal requirement. Be it for a business, charitable company or other regulated entity, the performance of a statutory audit is a vital control tool that ensures compliance with all relevant legislation. It also identifies internal weaknesses, external opportunities and threats. Together, ‘audit and assurance’ services play a fundamental role in the successful management of an organisation. 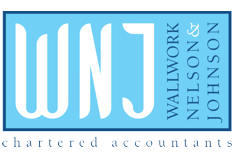 All WNJ’s audit and assurance engagements are ‘partner-led’, supported by appropriately qualified and experienced staff. We do not make a habit of changing your WNJ team once you have engaged with us. The Engagement Partner will stay with you as long as current rotation rules allow to ensure consistency of your service and advice. Legal requirement for ‘medium’ and ‘large’ companies. We are Statutory Auditors, as registered with the Institute of Chartered Accountants in England and Wales. WNJ adopts a modern approach to audit testing to ensure minimum disruption to its Clients. At the same time, we ensure a thorough review of financial and non-financial information. Our findings are used proactively, to advise Clients on commercial strategies and improving efficiencies. Academies have become a popular option in the education sector since the introduction of the Academies Act 2010. Independent schools are public funded charitable companies however and as a consequence, they are subject to a complex regulatory environment. This brings with it new financial risks, challenges and responsibilities. WNJ have a specialist team who can provide financial assistance for teaching academies in all stages of their development. A review of business systems and internal controls that your organisation has in place and recommendations for improvement. An independent review of financial statements, funding proposals, regulatory compliance, strategic proposals and financial forecasts.